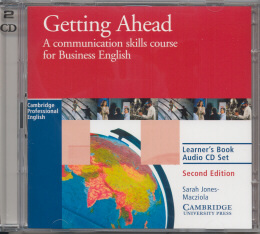 * Gettin Ahead is suitable both for students who are preparing for work and those who are in employment already. * The main units are topic-based and focus on such themes as describing a company, welcoming visitors and dealing with problems. Supportive practice to freer practice. * Contains real world content and adapted authentic texts.